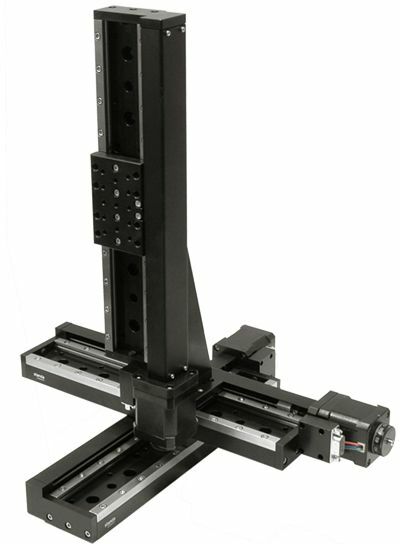 For applications requiring vertical Z axis movement, we suggest using stages with brake mounted on motor, to prevent carrier sliding down when motor current is turned off. Ordering code of Z stages is 8MT50Z and it is also implemented in XYZ assemblies by default. 8MT50-200 XYZ Angle Bracket 2AB175 is used to transform “horizontal” translators into vertical ones. * Test condition: • STANDA controllers; • Power supply 36V.